Ghanaian President, John Mahama, on Wednesday said the delay in the delivery of the crude oil ordered from Nigeria had created power generation problems for his country, leading to outages in many parts. Mahama said the sabotage of oil terminals in Nigeria occasioned the delay in the supply of crude oil, which Ghana ordered last month. 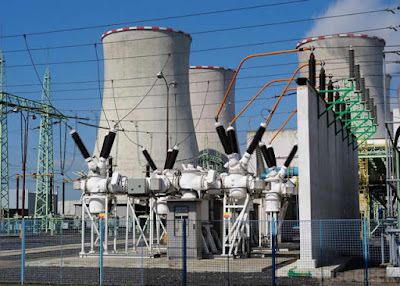 Many parts of Ghana, especially the capital, Accra, have witnessed a resurgence of power outages, a problem that lasted four years but was declared over by former Minister for Power Dr. Kwabena Donkor, last year, according to Classfmonline.com. Mahama, speaking on the occasion of the Eid il-Fitr celebration in Accra, was quoted to have said the power outages were as a result of sabotage in Nigeria. He said, “Recently, there have been some issues with electricity tariffs; the Electricity Company of Ghana has done some work on it. They have done a realignment of their billing system and I believe that people can begin to feel some relief in terms of the bills that they were paying. The bills have been made more transparent so that you can tell with every unit you buy, how much the value of the unit is. The President said he had asked the Bulk Oil Storage and Transportation Company to start storing at least one month of light crude oil supplied for Ghana so that in the event of any problem at the supply end in Nigeria, adding, “We were not affected the way we are currently affected. The West African Gas Pipeline Company had late last month said it had suspended the flow of gas from Nigeria to Ghana over unpaid bills by the Ghanaian government. Ghana’s state power producer, Volta River Authority, owes Nigeria’s N-Gas around $180m, while N-Gas in turn owes the pipeline company $104m, WAGPCo spokeswoman, Harriet Wereko-Brobby, had told Reuters. N-Gas is the main supplier of gas to Ghana’s Volta River Authority through the West African Gas Pipeline. is that the government is not keeping to its part of the joint venture funding and cash call obligations with the IOCs,” he said.